Today we picked our redcurrants. Last year we went away for a weekend and came back to find that the birds had eaten every last one of them – little sods. This year we netted them against the birds and got a bumper crop (although the local blackbird was circling us like a hungry shark even as we were picking). 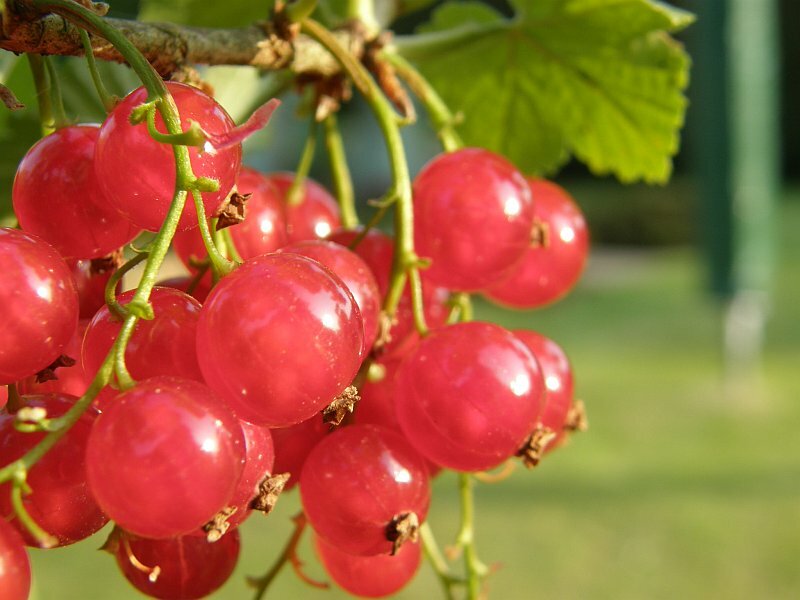 Redcurrants are beautiful to look at as well as to eat – a lovely, translucent red; and for the small amount of space and effort they need we get a great return of fruit from our three bushes. Is there a minimum number of bushes required for cropping? Hi John – I honestly don’t know about the number of bushes you need. We’ve got three and they seem to do fine. I think they’re self-pollinating, so presumably you only need one. Three is just right for us. They fit nicely along the fence on one side of the chicken’s run and give us enough fruit for what we want. I’d recommend them though. Redcurrants and blackcurrants (now, my blackcurrant jam really is special!) seem to need very little looking after and the fruit is delicious.